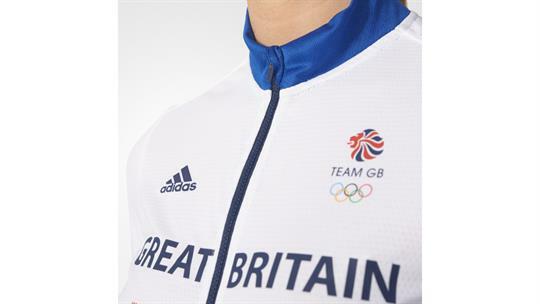 Full-zip for ventilation, in the UK or Brazil! 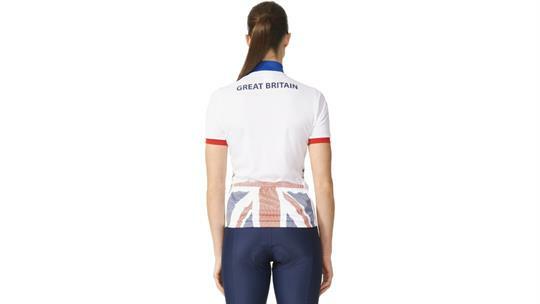 An authentic adidas by Stella McCartney design worn proudly by Great Britain athletes available for aspirational cyclists who equally show their pride and support. Ride-Comfort: The 100% polyester doubleknit mesh with hydrophyllic finish provides a perfect balance between moisture management and breathability for all-day riding comfort. The full front zipper allows for easy, variable temperature regulation. Additional Features: Zipper garage pervents annoying chafing through a combination of innerflap and zipper cover. Visibleleggra, provides integrated reflectivity, ensures a safe ride. 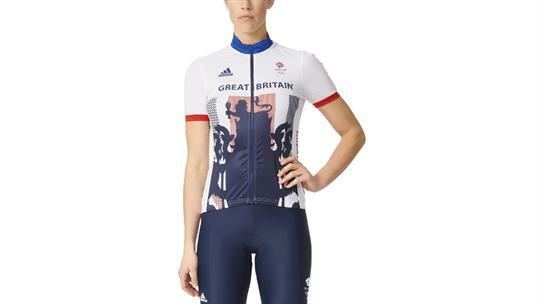 Race Fit: The cycling-engineered, women-specific, body-contouring-fit with set-in sleeves supports comfort during long, endurance rides.